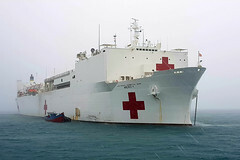 U.S. and partner nation service members participating in Pacific Partnership 2018 arrived in Bengkulu, Indonesia, aboard USNS Mercy (T-AH 19), March 29. 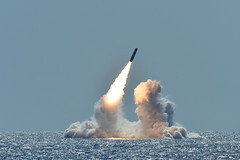 The Ohio-class submarine along with Strategic Systems Programs conducted successful test flights of two Trident II D5 missiles, March 26, off the coast of Southern California. 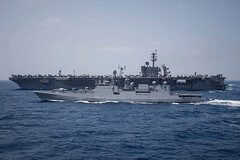 Units of the Theodore Roosevelt Carrier Strike Group conducted a passing exercise with the Indian Navy frigate INS Tarkash (F50), March 25. 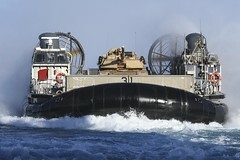 The Essex Amphibious Ready Group (ARG) and 13th Marine Expeditionary Unit (MEU) recently began training as part of the team's certification process. Lt. Col. Ichiro Matsuura, Capt. Ryuya Maejima and Cpl. Darren Phillips treated a patient with a severed radial artery during a community health engagement. 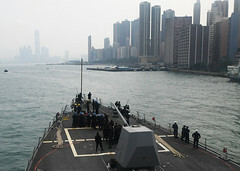 The guided-missile destroyer USS Sterett (DDG 104) arrived in Hong Kong for a port visit March 27 after a stretch of operations in the Indo-Pacific. 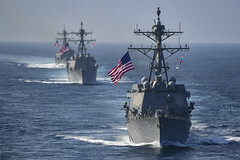 The Theodore Roosevelt Carrier Strike Group has returned to the U.S. 7th Fleet area of operations after four months in 5th Fleet. 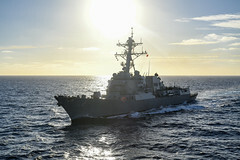 The crew and an embarked U.S. Coast Guard team began patrols, March 26, designed to combat illegal fishing in the Western Pacific. 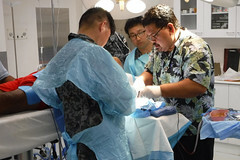 A Pacific Partnership 2018 medical team from the U.S., United Kingdom and Japan began the first of more than a dozen health engagements, March 22-23. 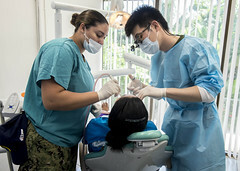 The Carl Vinson Strike Group wrapped up a bilateral exercise in the Western Pacific with the Japan Maritime Self-Defense Force (JMSDF), March 23.